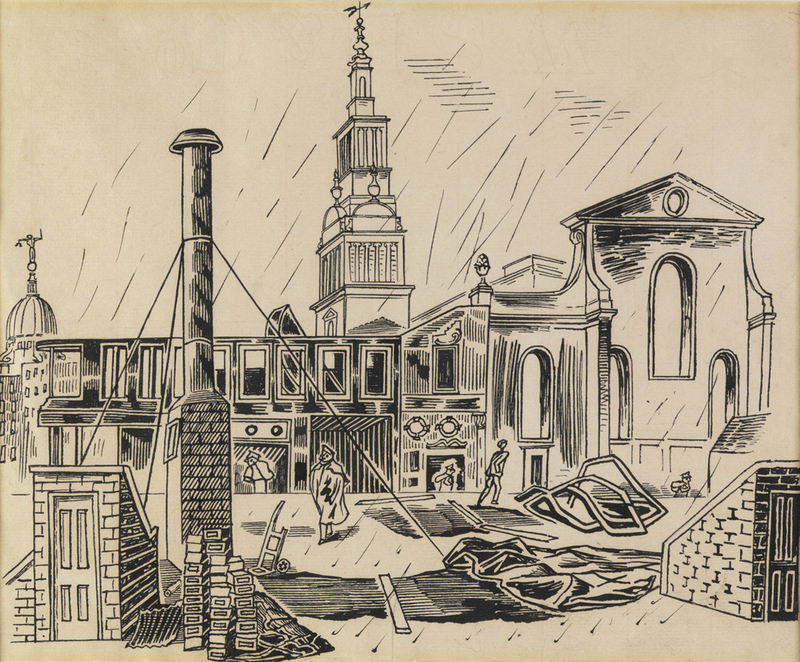 The Citizens’ Memorial aims to transform the ruined City church of Christ Church, Greyfriars, and give it a new purpose – the creation of a memorial of national significance to commemorate the heroism and sacrifice of the citizens of London during the Second World War and in subsequent bombings. The proposal was initiated by designer Ian Heron in consultation with City guide-lecturers, historians and architects. You are invited to browse our website and consider whether you would like to see such a proposal realised – it’s at an early stage, and needs your ideas and input. 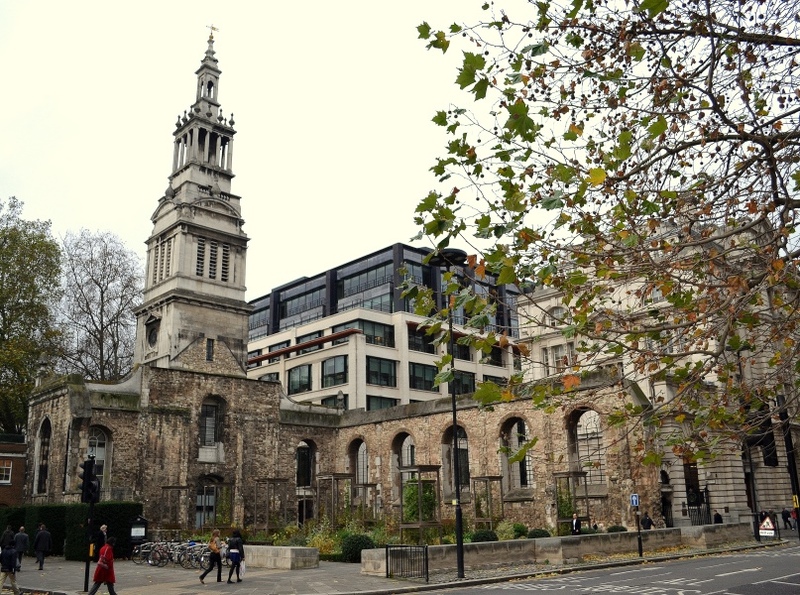 > The Christ Church site has for too long been an unsightly and unacceptable ruin in the heart of the City which cries out for a meaningful purpose and thoughtful restoration. > The City lacks a significant memorial to honour the fortitude and sacrifice of the wartime generation of Londoners. They served their country no less than the armed services, but whereas each of these has a national memorial, civilians have no such recognition. 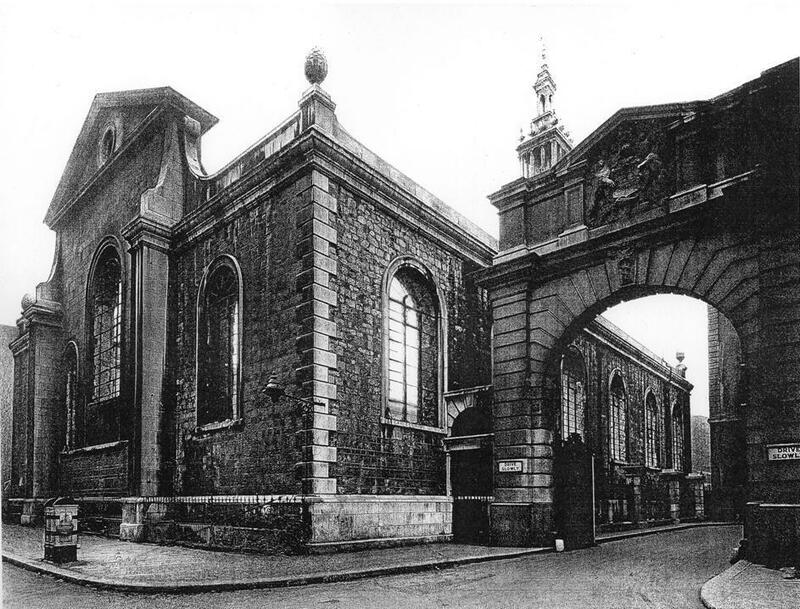 > Restoring the missing walls of the church and the bay adjacent to the east wall, meticulously following Wren’s original design, would create the perfect memorial – dignified, eloquent, and unostentatious. > Restoring these walls for the Memorial would also exclude much of the present traffic nuisance and transform the garden into an urban sanctuary, and other design improvements would make it more welcoming, comfortable, and enjoyable. > The Christ Church site offers a unique opportunity because the pavement at King Edward Street is aligned inside the church site itself, adjacent to the east wall. This would become the walkway through the Memorial, so that visitors and pedestrians would have the unique experience of briefly passing through a sacred space as part of an everyday route; alternatively, visitors may choose to turn into the garden for respite or relaxation. The Memorial would take its place as one of the series of thematically linked places of interest on the Heritage Route from St Paul’s and Paternoster Square, via Christ Church and Postman’s Park, to the Museum of London and the Barbican. The site is owned by the City of London, whose Planning Officer has has described it as sincere and thoughtful, and would give it further consideration provided funding can be obtained from sources other than the City authority itself. Recently the proposal has been enthusiastically received by the senior Member of the local Ward, who has given advice about the next step in seeking the City’s approval of the proposal. The commitment of the City for the use of the site for the Memorial purpose would be a precondition to establishing a charity, so that funds can be sought from benefactors and the public. A top firm of Quantity Surveyors specialising in historic buildings, Gardiner & Theobald, provided a cost estimate of the current scheme in January 2013. Their estimate compares favourably with the £4 million which the City recently spent on restoring the Monument to the Great Fire of London. A figure in this vicinity would surely not be an unreasonable sum to raise. The Citizens’ Memorial would be a jewel in the City’s crown – a unique place of interest for both residents and visitors. It can be realised with your support. The City having declared itself open to the proposal, we now invite the support of individuals, businesses and City institutions, and Members the City of London itself. Please share your ideas about the Citizens’ Memorial by posting a Comment. There are Comments buttons placed after this post, and after each of the other two posts on this Main Page, ‘Description of the Proposal’ and ‘History of Christ Church’, and also on the ‘About’ page. To post a Comment, click the ‘Comments’ button of your choice and scroll down to the ‘Leave a Reply’ box. After publication, all Comments posted by visitors to the site also appear in sequence on the following link page, where you can also add a Comment: http://thecitizensmemorialcomments.wordpress.com/ . 1. 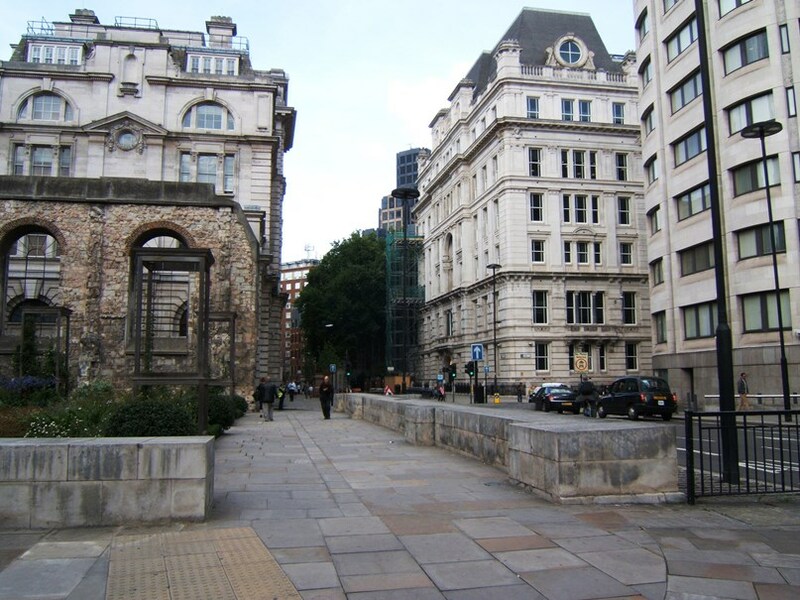 The remains of the north and south walls of Christ Church, seen from the London Stock Exchange in Newgate Street. 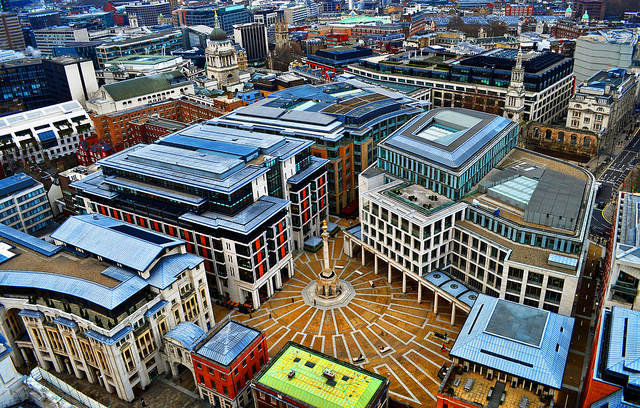 Visitors exploring the City of London often make their way from St Paul’s through the restored archway of Temple Bar into the new Paternoster Square, and a little further on arrive at Newgate Street. Across the street stands one of the finest examples of Sir Christopher Wren’s steeples, but little remains of the adjacent church except truncated walls and a garden where the nave once stood. 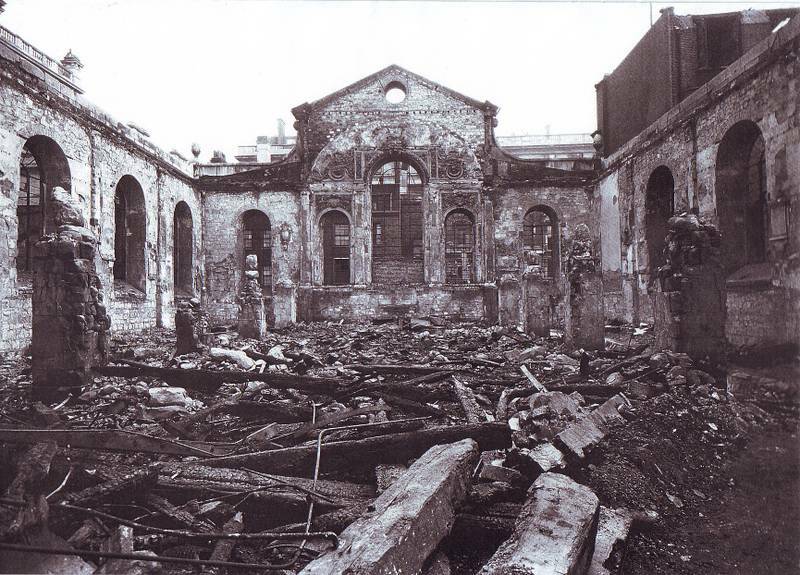 Christ Church, Greyfriars, was one of Wren’s largest and grandest churches, but was left a shell after being burnt out in the Second World War. 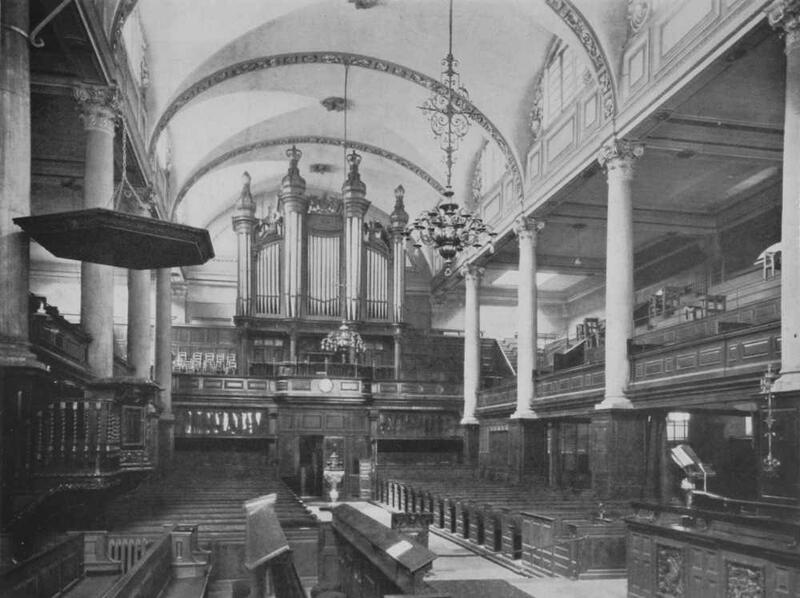 After the authorities decided not to restore the church, the ownership of the site was transferred to the City of London. 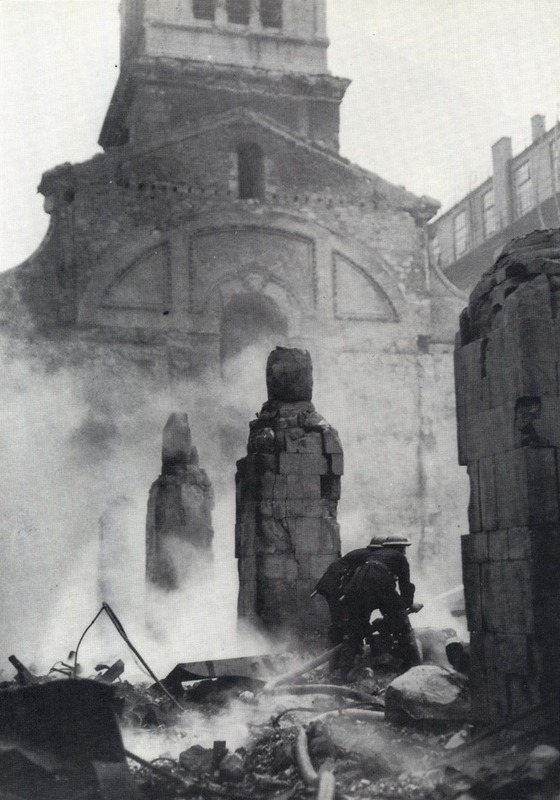 In 1973, a road widening scheme involving King Edward Street was carried out, the shameful consequence of which was the demolition of the east wall, most of the south wall and part of the north wall of the church. 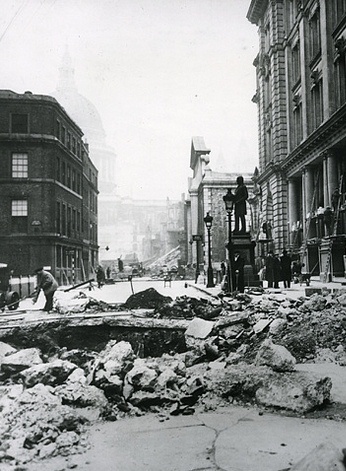 A magnificent example of Wren’s work was left disfigured and a piece of streetscape unique to the character of the City was obliterated. 2. Looking north to King Edward Street from Newgate Street. 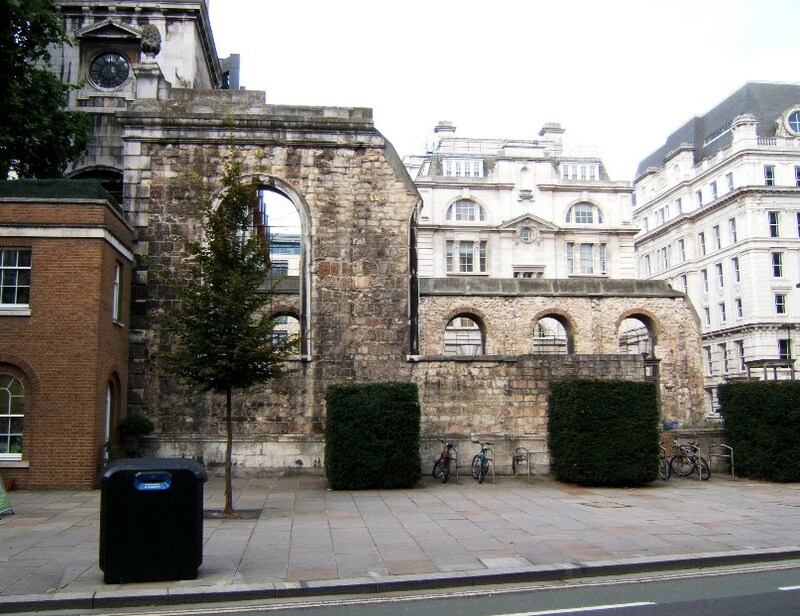 The photo shows part of the existing north wall of Wren’s church, but the original south wall and east end of the church are missing, having been demolished for road-widening in 1973, and now marked by the low walls on the left and right of the pavement. In more recent times planning priorities have tilted away from traffic towards public benefit, conservation, and creating a sense of place. In 2001 the Christ Church site became a beneficiary to the extent that, as part of the redevelopment of the adjacent former GPO site for the Merrill Lynch Financial Centre, the road layout was redrawn close to its previous alignment, and this enabled the original footprint of the church to be reinstated. However, the demolished sections of external wall, rather than being rebuilt, were marked only by low stone walls based on Wren’s plan. Unfortunately today these are reminiscent of an anti-terrorist barrier. 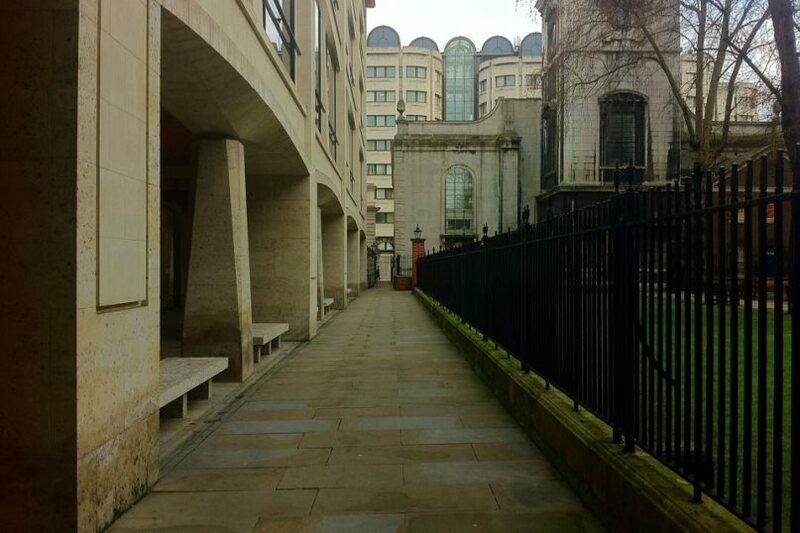 The pedestrian route between Newgate Street and King Edward Street is now taken through the church site within these walls, as the photo clearly shows, and passes over the former position of the altar, a fact not immediately apparent to most passers-by. A plaque set on the east wall in 2001 records the work done. 3. Plaque set on the east wall in 2001. 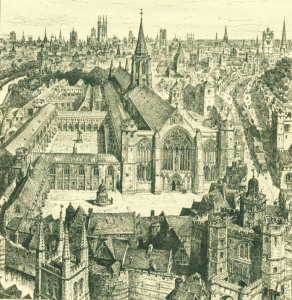 Christ Church is a Grade 1 monument which in its present state cannot be said to exemplify the tradition of civic pride associated with the City of London. 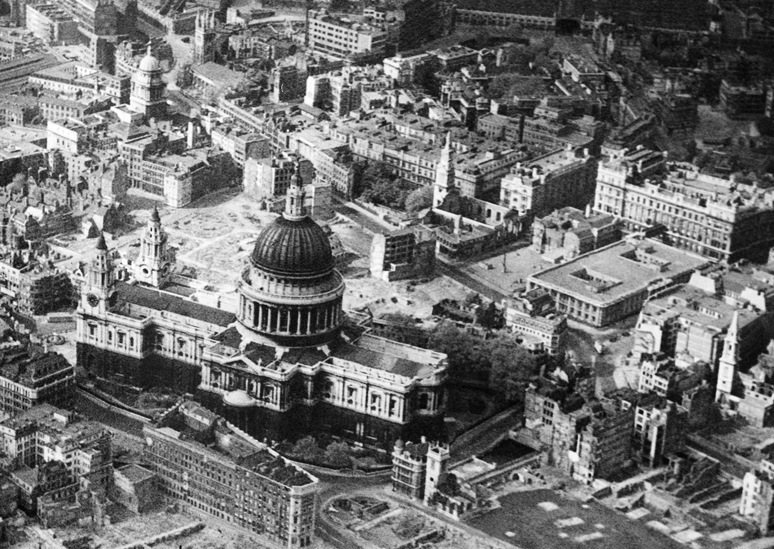 To many, leaving the ruin as it is would seem to dishonour the achievement of England’s greatest architect, Sir Christopher Wren, and the contribution made by his work to our national identity. 4. The Christ Church site seen from the BT Headquarters at the corner of Newgate Street and King Edward Street. 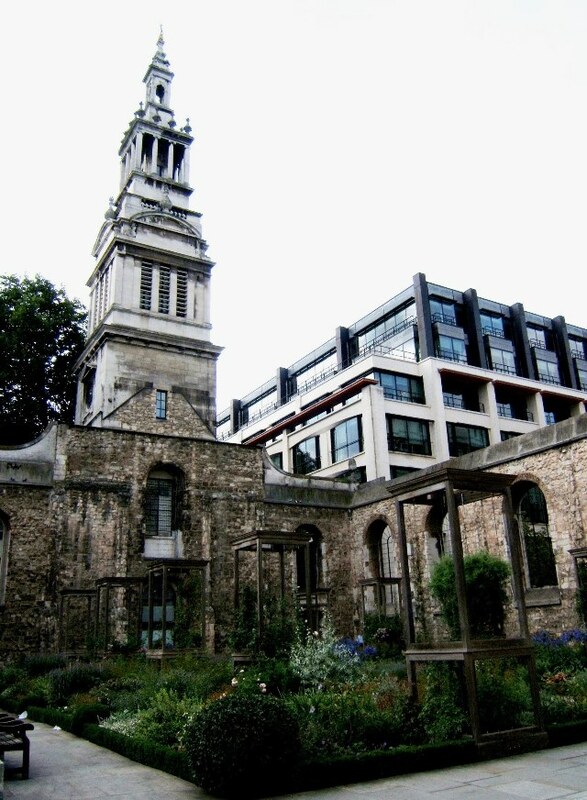 Today the ruins of the once noble exterior of Christ Church are conspicuous at the heart of a prestigious commercial environment which has been completely rebuilt or renewed, but do not make a coherent statement to visitors. The remnants of the fabric now comprise the restored tower and vestry room on the west side, and the fire-scarred remains of the north and south walls. 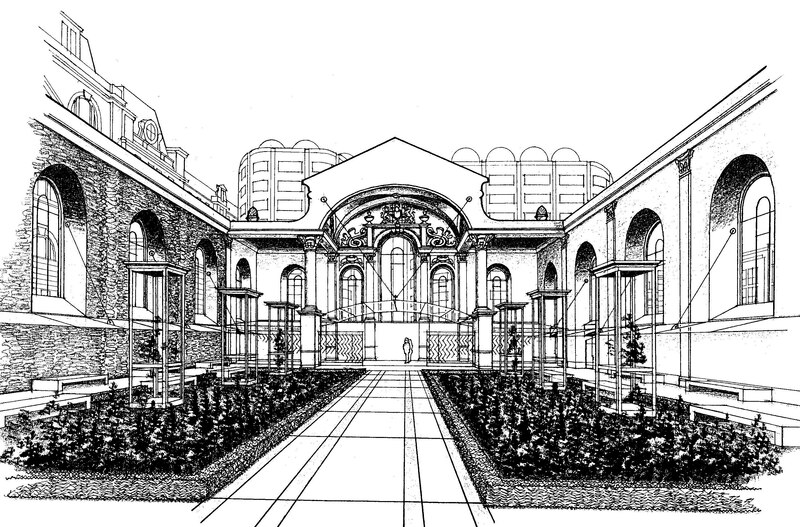 The open nature of the site and the asymmetry of the ruins do not immediately convey Wren’s clear rectilinear ‘basilica-type’ plan, with two rows of columns defining nave and aisles, and supporting ceiling and galleries. 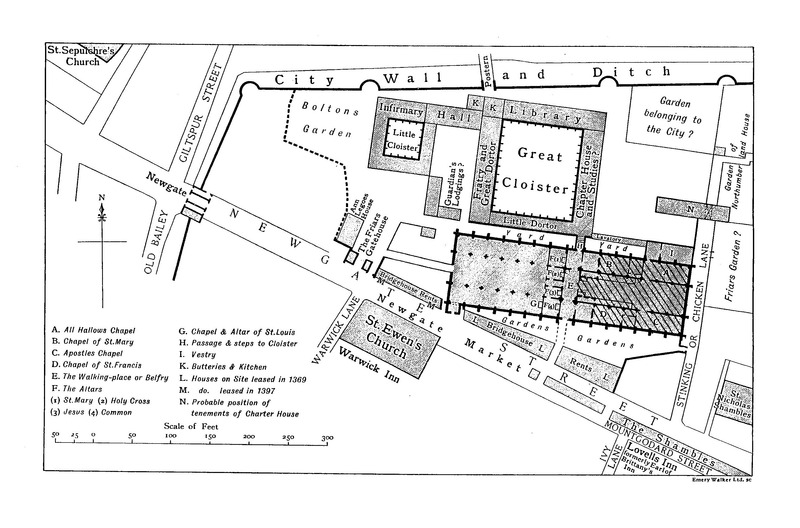 Although Wren’s building is only half the length of its medieval predecessor, being built on the site of its choir, the remarkable fact is that in conceiving the new church he carefully preserved the ground plan of the medieval building. The dimensions of its six bays and the setting-out of the columns are precisely as they were in its predecessor. The groin-vaulted ceiling of Wren’s church, the only example of this type in his basilica-type churches, was undoubtedly also a reminder of the medieval building. 5. Looking east towards the west front and tower of Christ Church. On the left, the European headquarters of Bank of America Merrill Lynch. To the west of Wren’s church, on the other side of Greyfriars Passage, the churchyard preserves the site of the medieval nave. The character of the adjacent Bank of America Merrill Lynch Financial Centre, by architects Swanke Hayden Connell, which incorporates arcaded passageways at pavement level reminiscent of a collegiate environment, is a fine example of how new architecture can blend in with an historic context. 6. Christ Church garden seen from its entrance at the perimeter wall, at the corner of Newgate Street and King Edward Street. Within the former nave, the City has laid out a garden which occupies the original area of the pews. The two rows of wooden pergolas in the garden are a reminder of the form of the square-section column bases which extended up to gallery level, an innovation introduced here by Wren. The City wishes to retain the nave area as a garden, whose amenity is much appreciated, although at the present time the missing walls expose it to the constant noise and nuisance of passing traffic. The steeple of Christ Church has been meticulously restored twice since the War, and is now a privately owned residence, but the nave remains a gaping wound. 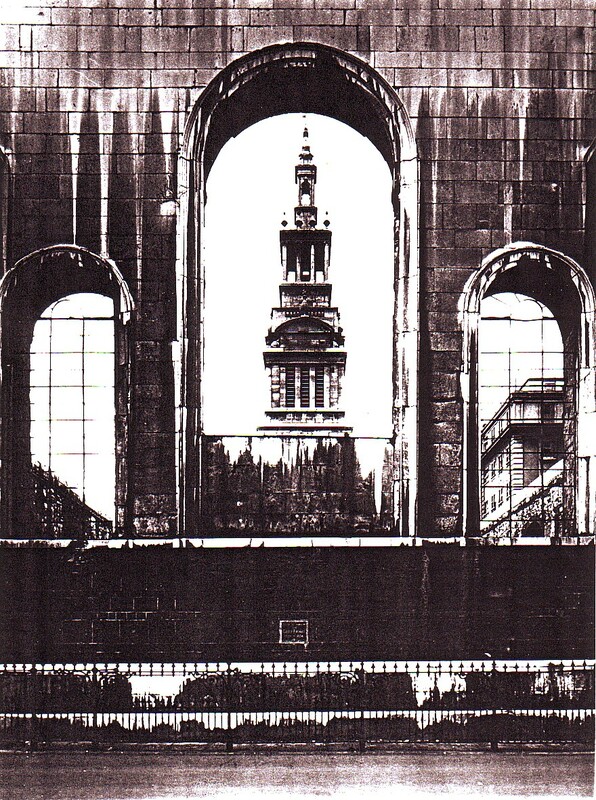 Without a sense of the complete form of the church to which it belongs, the steeple is left isolated, and the balance and coherence of Wren’s composition, and its importance in preserving the pattern of the medieval building, is lost. After the boundary of the church site at King Edward Street was returned to its original alignment in 2001, it was at last possible to contemplate the return of the missing fabric. Today the forlorn and unsightly remains of this historic building seem to demand that a new chapter be added to its illustrious story. 7. 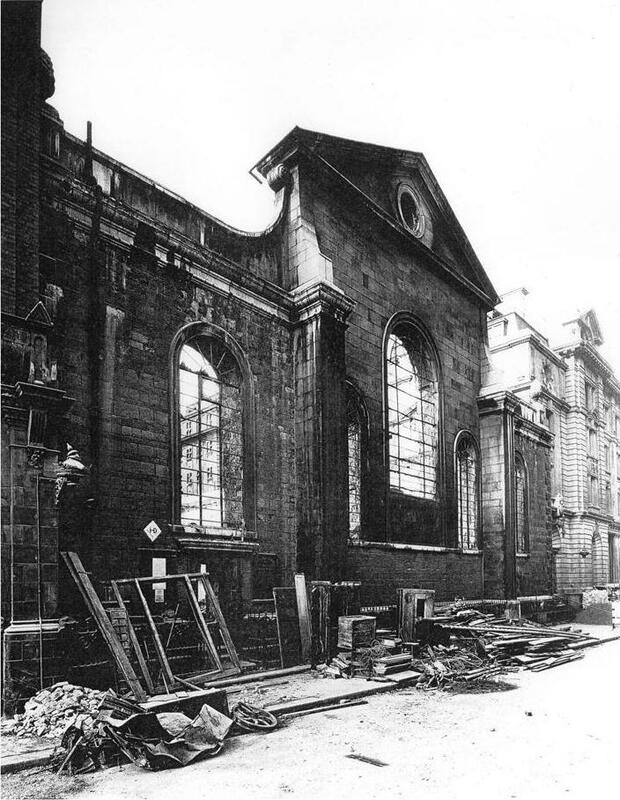 Christ Church from King Edward Street: the exterior as it appeared prior to demolition of the east and south walls. 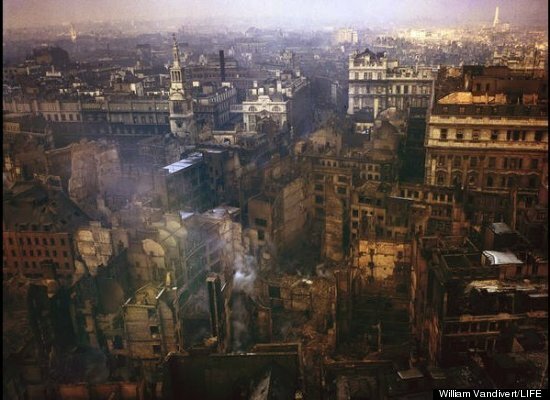 The picture uses a wartime photo, retouched to remove debris from the Blitz. The opening under the end window is added to show how the pedestrian route through the church site could be accommodated in a reconstruction. Externally the east end of Christ Church on King Edward Street was a strong composition finished in dressed stonework and combining both classical elements and prominent gothic-style buttresses. 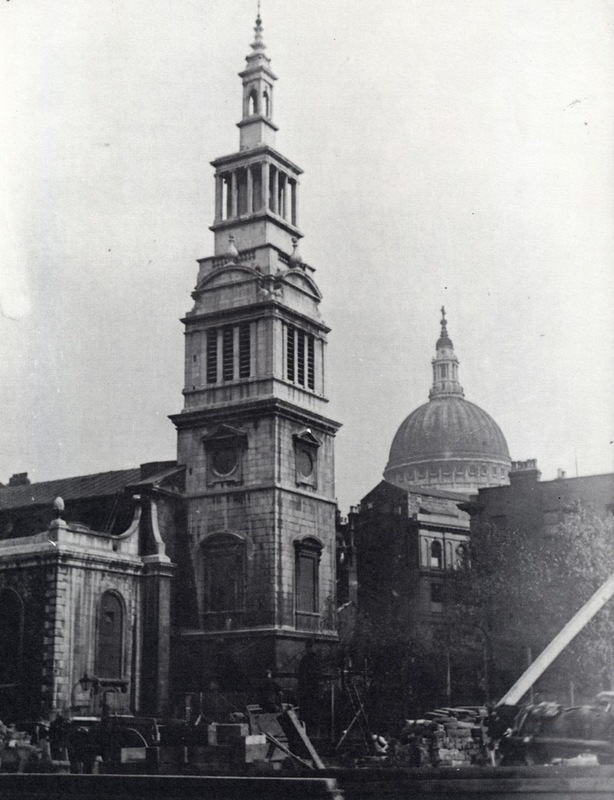 Until its demolition it made an important contribution to the neighbouring streetscape, and, looking south, could be seen in conjunction with the dome of St Paul’s, as Wren had intended. The outer corners of the church walls were once surmounted by large stone finials carved in the form of pineapples, a fruit which at the time was valued as a symbol of welcome and friendship. Originally there were four of them, but now there are only two – those on the north-east and south-east corners were dismantled when the demolition took place. Ironically they were the only pieces of Wren’s stonework to be preserved, and presently lie on the ground near the tower. The photograph shows how the fabric looked prior to demolition. Adjacent to the church is the large arched gateway which was the vehicular access to the GPO, the previous occupiers of the Bank of America Merrill Lynch site. The arch, which still exists, makes a visual link between the church and the former GPO Head Office, to the right, which was restored as part of the Merrill Lynch development. Had the demolition not taken place, the external appearance of the church would have looked very similar today, except that the kerb line of King Edward Street, which is now somewhat wider than in the photo, would run closer to the east wall, leaving insufficient space for the pavement. Since 2001 therefore, with the wider street in place and the footprint of the church complete again, the pedestrian route at King Edward Street has been aligned through the church site itself, occupying the ground level of its sixth bay adjacent to the east marker wall, as depicted in Image 2. This access arrangement could be neatly accommodated in a rebuilding of the original walls by inserting access arches beneath Wren’s windows in the north and south walls of the sixth bay. In the photograph a sketch is superimposed to suggest how such an archway in the north wall might look. This passageway would create a piece of intimate transitional architecture on a scale which would relate to the pedestrian experience in a similar manner to that at the nearby examples of Temple Bar and the gatehouse to the church of St Bartholomew-the-Great. In such historical examples the gate signals a change in the character and purpose of the place beyond. At Christ Church the experience of briefly passing through an external space specially set aside as a memorial garden would add interest to – and might well temper the pace and stress of – an everyday journey. 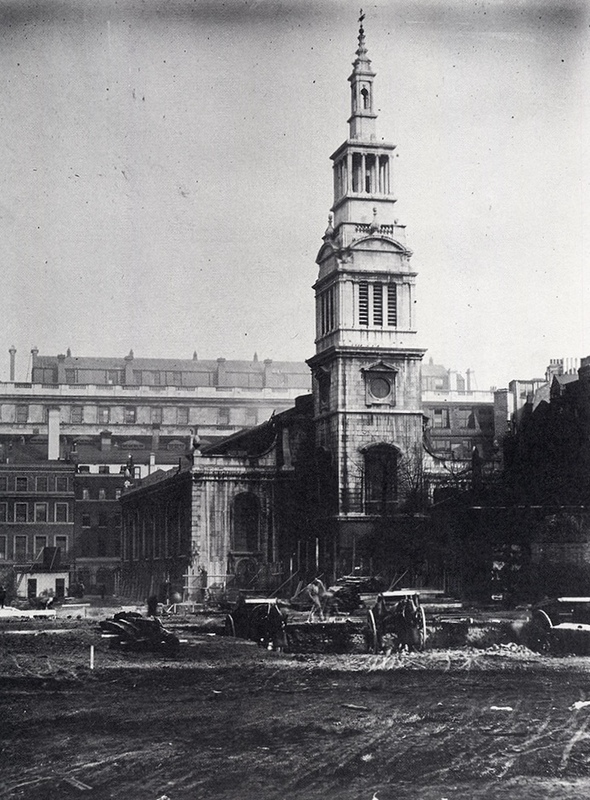 The opportunity to make good the heritage loss resulting from the demolition of large parts of the outer fabric of Christ Church was initially made possible by the return of the original footprint of Wren’s church in 2001. Restoring the walls would not only be important in preserving Wren’s architectural intentions and enhancing the appreciation of the garden, but would also create an opportunity to do something new and relevant for our own times. 8. 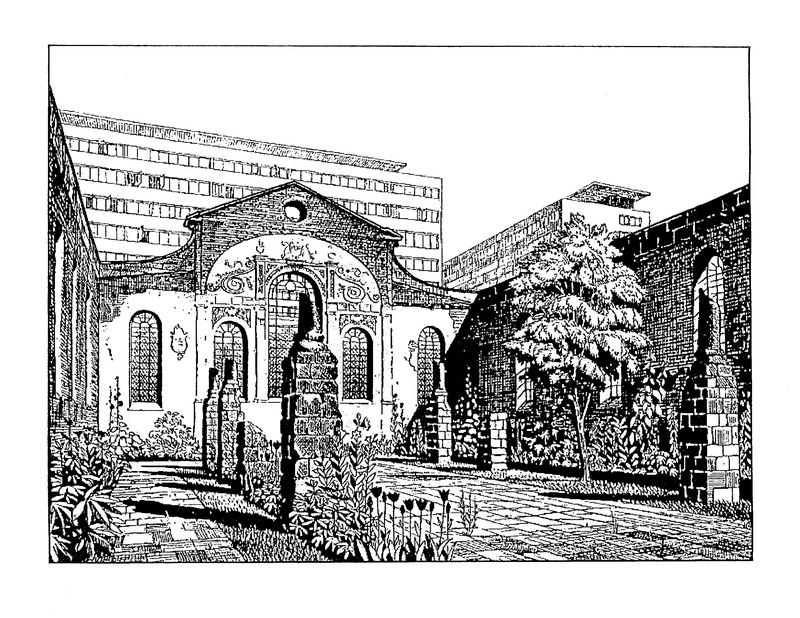 Drawing by Peter Shepheard of the nave of Christ Church as a memorial garden, from Bombed Churches as War Memorials, Architectural Press, 1945. The drawing was printed back-to-front in the book, but has been corrected here. 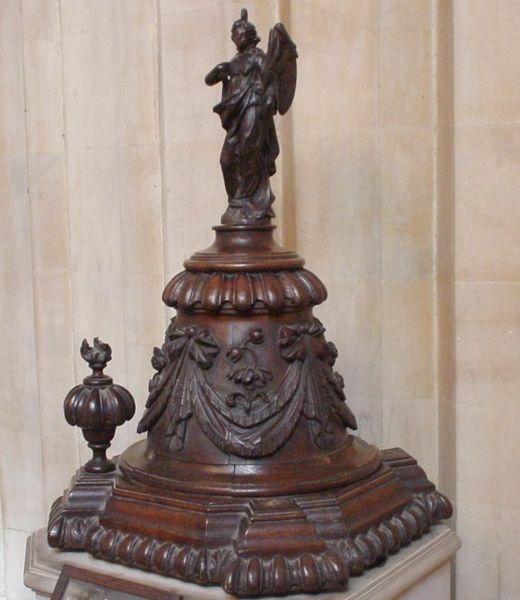 The inspiration for a memorial at the site to honour London’s citizens in wartime originated in a suggestion that after the War a number of ruined churches could become war memorials, something which at the time was considered particularly appropriate in the case of Christ Church. The Citizens’ Memorial is therefore not essentially a new idea, but revives thoughts which first arose in the immediate post-war period. 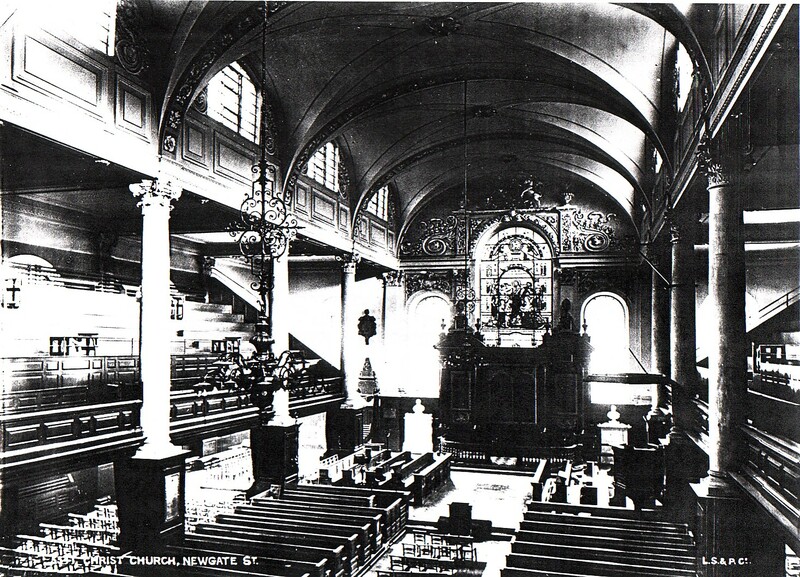 At that time, as the drawing above shows, the idea envisaged the retention of the complete outer fabric of the church for the memorial purpose. The idea gains compelling appeal now from the consideration that whereas for example the RAF have a church, the Merchant Seamen have a substantial memorial on Tower Hill, the visiting American Forces have their own chapel in St Paul’s Cathedral, and Bomber Command has its new memorial in Green Park, the vital role of the civilian population of London during the Second World War, when more than 28,000 civilians were killed as a result of aerial bombardment, is at present memorialised by only a modest plinth in St Paul’s Churchyard, and the Hermitage Memorial Garden in Wapping, which is primarily dedicated to the people of the East End of London. The wartime civilian contribution surely deserves permanent official recognition in the form of a national memorial at a site of equivalent status and significance to those of the armed and maritime services. 9. The Memorial plinth in St Paul’s Churchyard. The Citizens’ Memorial was at first envisaged as a place specifically dedicated to the fortitude and sacrifice of the civilian population of London during the Second World War. 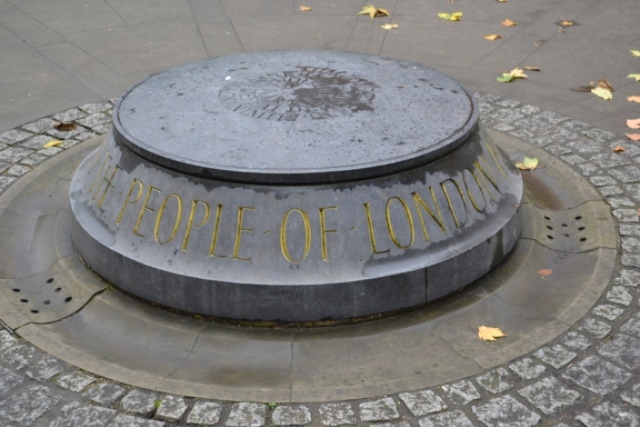 However, recognising that in the subsequent years of peace, our City has witnessed a further number of significant bombing outrages, it seems appropriate to widen its purpose to honour all the Londoners who have been civilian victims of bombings, both in wartime and peacetime, during the modern era. 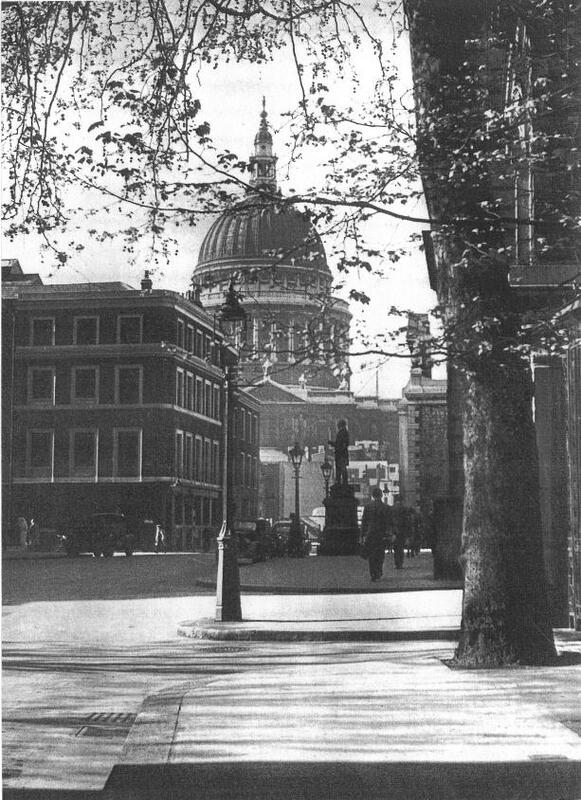 Christ Church is the ideal place for such a memorial because of its prestigious location in the City, its architectural and historical importance, its own partial destruction in wartime, and the established and much-valued amenity of its garden. The restored fabric and renewed garden would create a welcoming, dignified and eloquent setting which would do justice to this proud cause. 10. 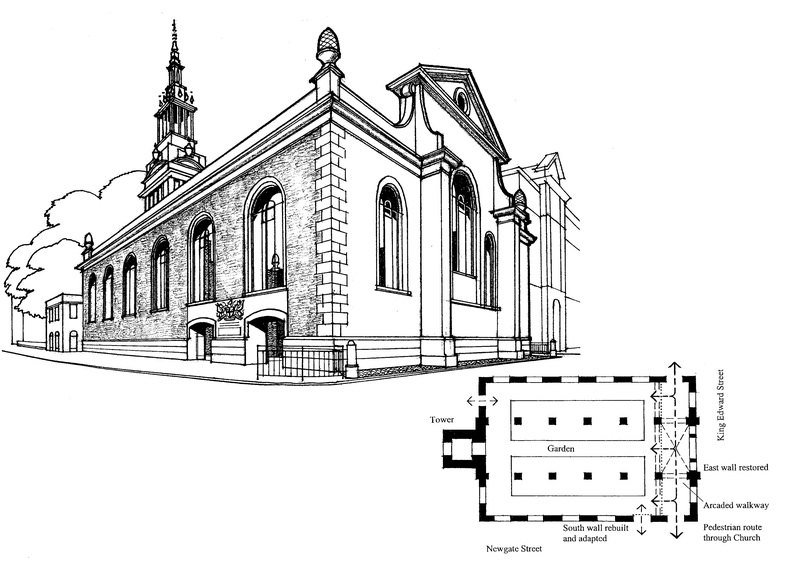 Main drawing – the exterior of Christ Church after reconstruction of the missing walls for the Citizens’ Memorial – view from corner of Newgate Street and King Edward Street; lower right, outline plan at street level. The Citizens’ Memorial proposes the transformation of the Christ Church site with a scheme for a memorial of national status to honour all Londoners who have been the victims of bombings in wartime and peacetime during the modern era. The principle components of the scheme are restoring the demolished walls, reconstructing the original form of the nave ceiling above the route now used by pedestrians, and the enhancement of the garden and its amenity. The reconstruction would return coherence to the shell of Christ Church, and would demonstrate the blending of old and new to exemplify the highest standards of expertise and craftsmanship now expected from the work of heritage professionals. 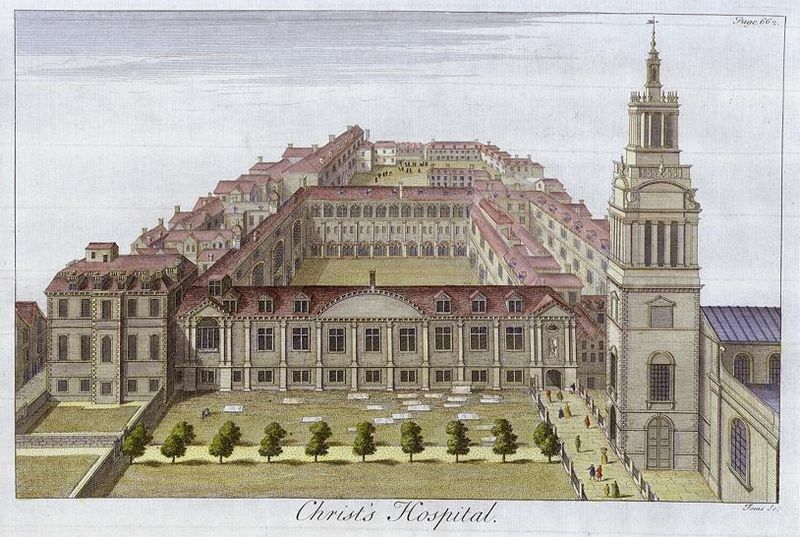 On the exterior, the rebuilt east wall of the church, enclosing the garden and walkway on the King Edward Street side, would reinstate Wren’s original design. The elevation facing King Edward Street with its bold cornices, pediment and buttresses would once again contribute to the attractive architectural ensemble created with the former GPO buildings. The reconstruction of the demolished part of the south wall on Newgate Street, of which only the westernmost bay remains, would also follow Wren’s design. In common with elevations where the use of dressed stonework was considered unwarranted, this was faced in undressed stonework. The restored south wall would be similarly faced and would seamlessly match that of the remaining bay. At the east end of the rebuilt south wall, two new arched openings are introduced in order to give access from Newgate Street. 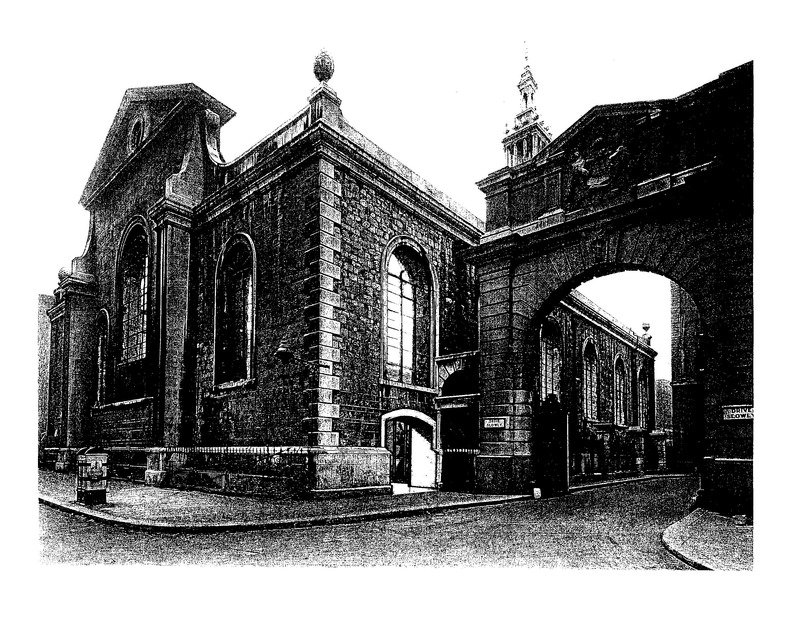 The arch nearest to the south-east corner is the entry point for pedestrians on their way to King Edward Street, via a corresponding archway in the opposite wall, and using the present route through the church site. The other access arch, to the left, would serve as a direct access to the garden. It could also be used as the main entry on special occasions when the garden is used for ticketed and invited gatherings, since for these events access to the garden from the walkway within the church would be closed. The openings on Newgate Street are distinguished from Wren’s original design by being framed in dressed stonework, between and above which is a relief carving of the coat of arms of the City of London. Below this is a simple carved inscription announcing the purpose of the place the passer-by is about to enter. 11. 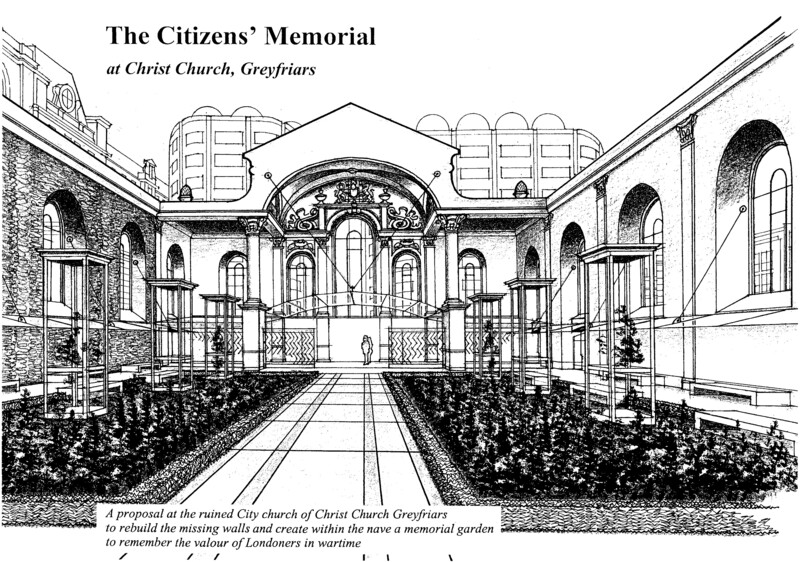 This drawing shows how the garden within Christ Church might look with the elements of the church fabric reconstructed for the Citizen’s Memorial. The view is from a position near the tower, looking east, with Newgate Street on the right. 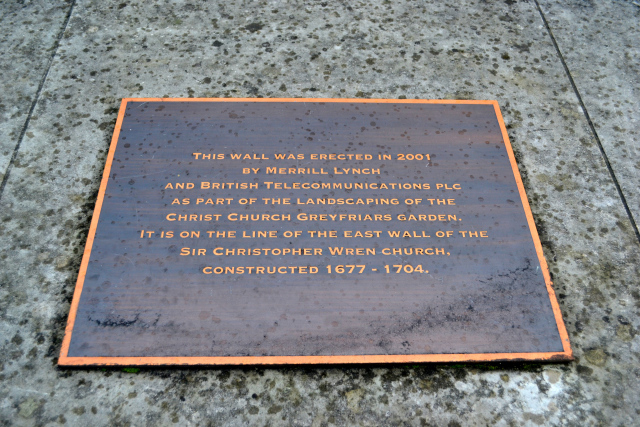 Rebuilding the missing east and south walls of Christ Church is the essence of creating the Memorial and its setting. However by putting the pedestrian route at King Edward Street through the church site, the City has created a unique opportunity. It would not only enable visitors to experience the Memorial as part of an everyday route, but provides the inspiration to achieve something truly magical. This lies in recreating, adjacent to the east wall and over the pedestrian route, the original design of the sixth bay of Wren’s church. 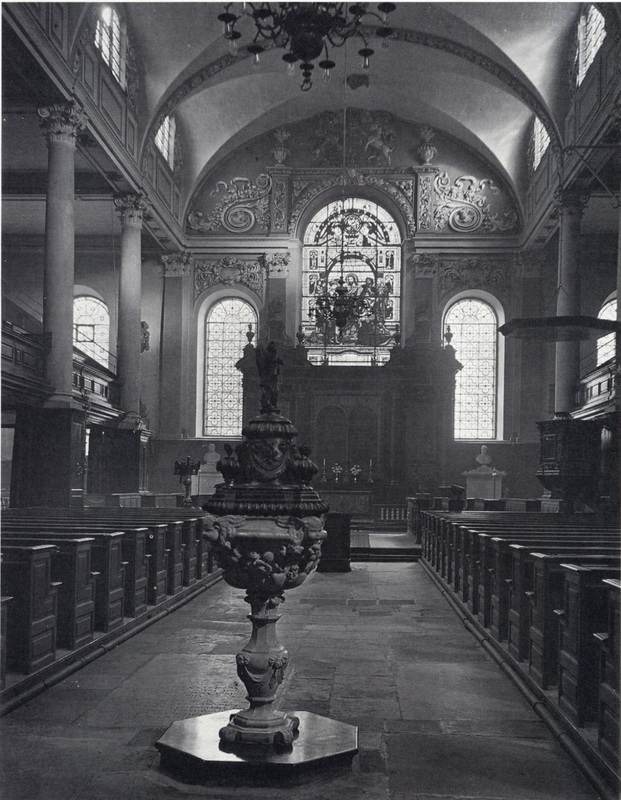 The forms and volumes of Wren’s interior, with its nave vault, flanked on either approach by flat aisle ceilings and supported by the original columns, would make a noble and eloquent architectural composition forming the centerpiece of a unified scheme. It creates a canopied and arcaded walkway for the pedestrian route, which for the visitor experience, becomes the architectural accompaniment in the transition through a sacred space. The Memorial would reveal itself to visitors with subtlety, interest and delight. Entering the walkway, they will be aware of going into a place of quiet and contemplation which is distinct from the world around it. On the restored east wall, where the reredos once stood, they may cast an eye over the sculptured panels and inscriptions providing information about the Memorial and its history. If choosing to linger, they may turn into the sanctuary of the garden, which would reveal itself as a place of welcome, relaxation and beauty. The transition between walkway and garden would be defined by a metalwork screen aligned with the full-height columns. The screen would be open at the centre and at the aisles to allow public access during daylight hours. The gates would provide an opportunity to commission craftsman-metalwork inspired by the themes of the Memorial. Once in the garden, visitors might look back to get an impression of the reconstruction as a whole. The architectural treatment of the restored east wall, with its pilasters, scrolls and other carved details surmounted by the Royal Coat of Arms, is a precise copy of Wren’s original design. Extending forward from this backdrop, the graceful form of the vaulted canopy frames the east side of the garden. Wren’s unostentatious classical architecture, expressing strength, calm and dignity, conveys perfectly the feeling behind the Memorial. Visitors become aware that all around, the walls of the church exude a momentous sense of history, and that now a new chapter has been added. 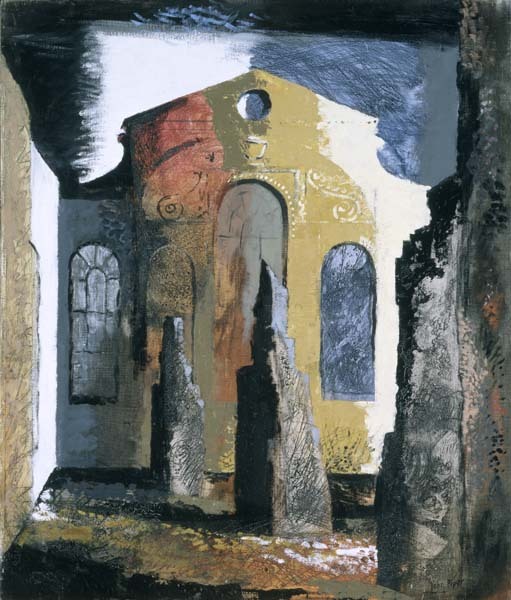 Even in its present condition the visitor senses that the garden possesses an unusually tranquil and contemplative atmosphere, deriving partly from the thickness of the external walls, but possibly also from the antiquity and enduring spiritual nature of the site. However it is now spoilt by being open on two sides and exposed to constant traffic nuisance. Reconstructing the missing parts of the walls would help to make the garden into more of an urban sanctuary amidst the noise and bustle of the City. In the garden renovation the aim has been to create a balance between enclosure and access. The main access points are the arches in the north and south walls for the walkway through the church, and the second access arch in the south wall, which would also be used as the main entry on special occasions, when the garden is reserved for cultural and invited gatherings. The existing doorway in the west wall, adjacent to the tower and leading directly to the churchyard, would also remain in use. While the walkway through the church would be open to pedestrians at all times, all the access points to the garden itself would be closed after darkness, for the amenity of the site and the security of the residents of the tower. The interior faces of the new south and east walls are rendered in dressed stonework, distinguishing them as contemporary work and drawing attention to their contemporary significance. The existing fire-scarred walls would be repaired and repointed, and original medieval work would be made easier to recognise. Damaged stonework and recent disfiguring repairs to the fabric would be replaced or renewed. The nave fabric, having regained its coherence and dignity after restoration, would lend itself to a professional scheme for night-time illumination both inside and out, adding an extra dimension of visual appeal. The garden itself would be reinstated to a high standard to complement its architectural setting. The seating provision would be increased and would be designed as a permanent element in conjunction with the paving, which would be renewed using stone and other natural materials selected for their quality and finish. In certain places memorial stones recalling notable people associated with the church could be installed. Attention would be paid to careful detailing and the user-friendly character of the garden elements. The garden upgrade would be intended to reflect the original purpose of the site as a sacred place, and would also make it a desirable setting for holding private functions and cultural gatherings. For such events, there is space to allow temporary staging at the west side of the garden next to the tower. The pedestrian passage through the church, and the seating along the north and south walls, would be sheltered by unobtrusive glass canopies suspended from the fabric – a modern touch which would make a delicate counterpoint with the robustness of the masonry. Now largely shielded from the noise and nuisance of the passing traffic, the garden is able to properly fulfil the role which was undoubtedly envisaged for it by the City – that of an urban sanctuary, a place of relaxation, enjoyment, and contemplation. The ambition of the scheme is to achieve more than simply recreating a sense of place and identity at the Christ Church site – it envisages its re-enchantment. The transformation of the monument for the Citizens’ Memorial would make it a destination of real visitor interest, with a new purpose relevant to our own recent times which would resonate across the generations. It would rightly deserve a place on the itinerary of visitors exploring the sights of the City. Please share your ideas about it by leaving a comment or endorsement – just click on ‘Comments’ on the link below and go to ‘Leave a Reply’.